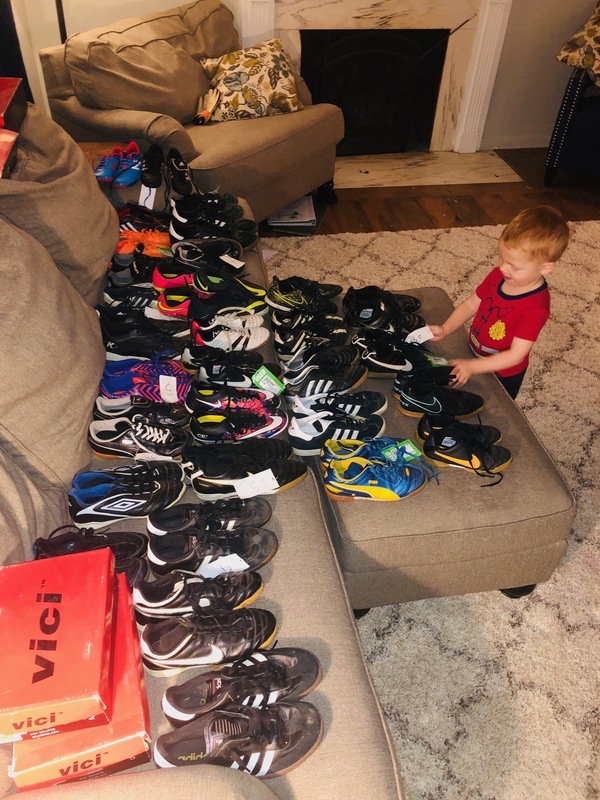 Queen City Street Soccer receives over 40 pairs of youth soccer shoes, with more coming. A new youth soccer program that provides free instruction and equipment to inner-city youth received an early Thanksgiving present yesterday. Queen City Street Soccer (www.queencitystreetsoccer.com) is an after-school community program that aims to expose hundreds of inner-city youths to the world’s most popular sport. 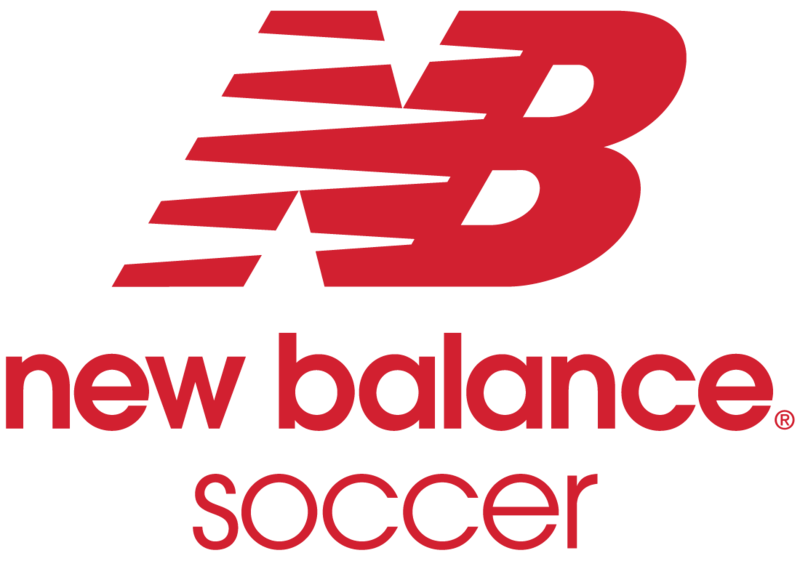 It hopes to uncover players with talent and potential and then help those players find opportunities at local clubs and development programs. Founder Mika Lopes applied for and received a federal grant to start up QCSS, but one thing it didn’t cover was indoor soccer shoes. Enter Russell Lewis, futsal coach and director of PIVO (PEE-vo) Academy, an organization that provides futsal instruction and runs futsal tournaments. Futsal is like soccer but played 5 vs. 5, indoors, on a basketball court. Russell, who coached with Mika years ago at local soccer club, had already helped QCSS’s startup by providing old uniforms and training gear. Russell called Mika to invite QCSS to enter a couple free teams into a futsal tournament on Black Friday. Mika said she couldn’t because her players didn’t have any indoor soccer shoes and they couldn’t afford to buy them. Undeterred, Russell called a nearby Play It Again Sports and asked the manager to gather up all the indoor soccer and futsal shoes he had in the store. PIVO Academy purchased them all. He also put out the word to the 90+ members of PIVO Academy, and more pairs arrived. 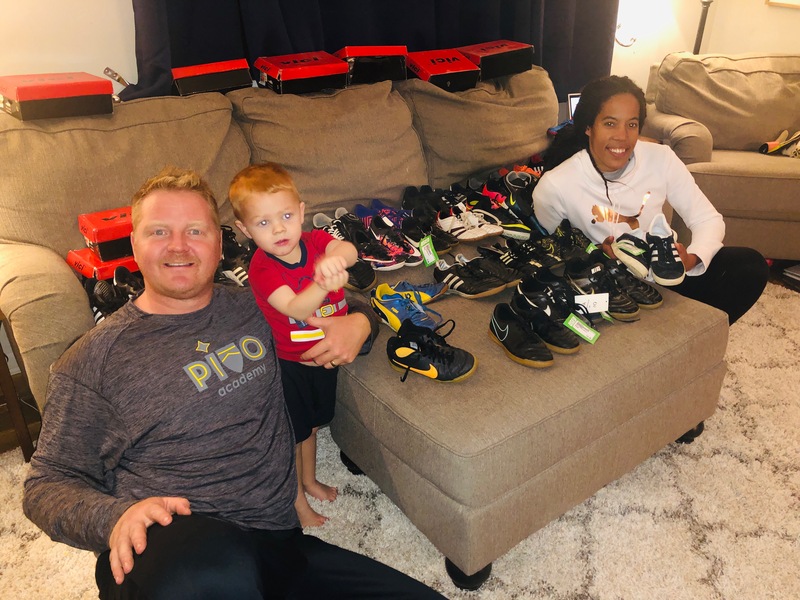 So far, PIVO has been able to donate over 40 pairs of indoor soccer shoes to QCSS, and it expects to collect dozens more at its tournament on Black Friday. Founded in 2018, Queen City Street Soccer is an after school community program designed to scout, recruit and sponsor inner city soccer athletes into local academies, clubs and development programs. Founded in 2018, PIVO Academy is a soccer and futsal instructional program that aims to develop player’s skills while giving awards similar to the karate belt system for measurable levels of individual achievement. Russell Lewis with Mika Lopes of Queen City Street Soccer and many pairs of donated soccer shoes. Reed Lewis (2) inspects and cleans shoes.